Hottinger is part of the group Minnesota Can’t Wait, a youth-led climate advocacy group that has been pushing for climate action at the state level. The idea of a bill arose in the fall and the group has been meeting with Minnesota state legislators for months, including a January meeting Governor Tim Walz shortly after his inauguration. After that meeting, he announced a working group on climate change, something that’s fine but pretty standard fare for kicking the can down the road. Throughout, the text nods to the need for getting input from a wide range of groups including unions, low income communities, people of colour, and tribes. Hottinger said those provisions were really important, and that Minnesota Can’t Wait reached out to trade unions and other groups who would be impacted for feedback on the proposed text. But it’s that process of young adults engaging on climate change that shows what a new era of policymaking could look like. Young adults have grown up in this world painfully aware of the peril adults have put them in, and the recent wave of youth activism shows that they’re ready to take matters into their own hands. The climate strikes and growing power of groups like the Sunrise Movement show some of the avenues where young adults are pushing on the system from the outside (and it obviously doesn’t hurt to have allies like Ocasio-Cortez and others on the inside). But the Minnesota Green New Deal legislation is a significant step in the sense that young adults aren’t just advocating for policies that will determine their future, but shaping those policies and building coalitions to back them. The bill’s introduction is only the first step, and it’s not immediately clear if it can pass, especially given a Republican-controlled state senate and the fact that it has no Republican co-sponsors. The response to Governor Walz’s proposal in March to decarbonize the electric grid by 2050 provides a hint of what kind of reaction the Green New Deal bill could engender. 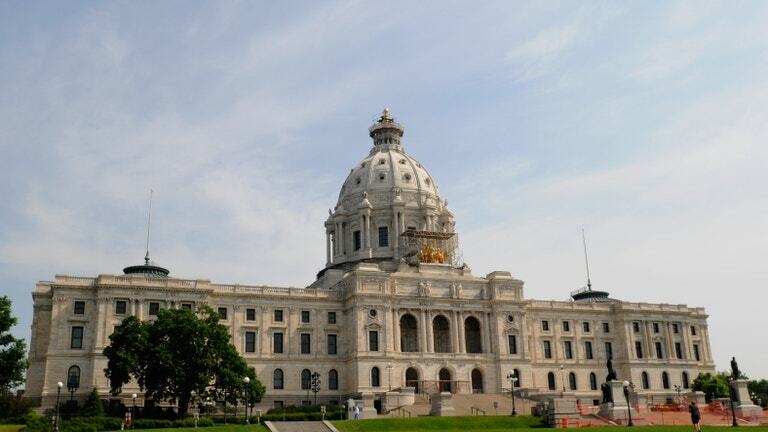 Hottinger said Minnesota Can’t Wait is planning to continue drumming up support, though, by organising town halls around the state and continuing outreach to legislators on both sides of the aisle. The group is also asking for hearings, something Congress has pointedly not done with the federal version of the bill.